Email security gateways, although offering tremendous protection, are not perfect. 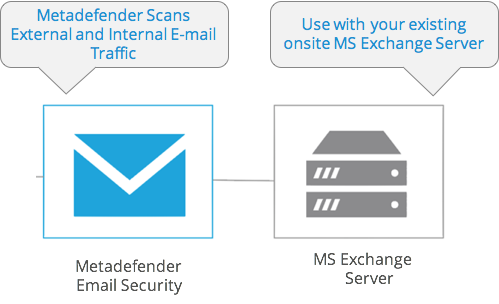 Metadefender Email Security enhances existing email security gateways by offering additional protection with more than 30 anti-malware engines (leveraging both heuristics and signature-based detection) and data sanitization to combat increasingly popular document-based or image-based attacks. for NDR based on email validation although we can validate syntactically and mark failed to deliver.